Etsy has been in business since 2005. You can imagine how many shops must be open on Etsy right now, featuring all sorts of handmade crafts with intricate and unique designs. However, it is not only about finding the right item on the market, there are a whole lot of options from which you can do that on Etsy. Products are there and finding them is not so difficult. Finding the perfect curator or artist is usually the goal of each customer. 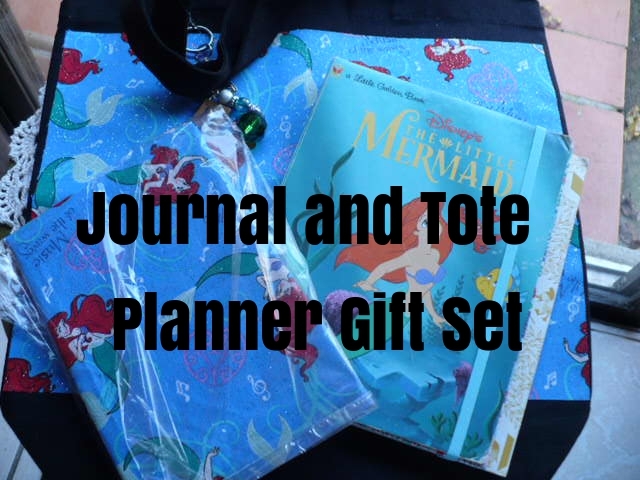 Golden book day planner set in your favorite title! Click here! You want a lasting relationship with the seller to enjoy the full experience of your product. You want to know why you should go back to the same artist. You want to be satisfied not just by the product, but by the value of service that you receive. MarketsOf Sunshine is a company that was started in 2010 and has grown to be a very large enterprise. Markets Of Sunshine is one of Etsy's highest ranking stores in terms of sales and recognition. It has become a household name in may places. The services provided by the company are top notch and this has made Marsha, the founder of Markets Of Sunshine, very popular among people who frequent Etsy. What Markets Of Sunshine does is that they provide a sales and marketing platform for other smaller businesses. This is a valued service that has become more and more popular in the recent years. Basically, if you have a product that you wish to sell, you partner up with Markets Of Sunshine and they drive your product into the market through many avenues. The most notable marketing technique employed by Markets Of Sunshine is perhaps where they take your product directly to the market by way of free samples. The samples themselves are contained in great packaging and a lovely, personal touch to them. Within the packaging is also the contact information of the company that made the product, so that the individual who receives the product can easily contact you if they want more of the product. The person who receives the sample also gets to review the product as well as take photos (voluntarily of course) with the product in hand, for posting on social media platforms run by Markets Of Sunshine. Social media is of course the other marketing strategy used to drive the sale of your brand and product. To join the Markets Of Sunshine VIP club, subscribe for the newsletter athttp://www.marketsofsunshine.com/p/newsletter-sign-up.html and watch your company grow. In 2016 Markets of Sunshine is expanding their marketing and taking it to a personal level by offering their existing customer's who shop with them on Etsy the chance to win a free handmade gift each month in their monthly give-a-way drawing. January's gift is a fun book themed stationery set. To enter the drawing shop with Markets of Sunshine's Etsy shop! Next, week in Part 2 we will feature another successful Etsy shop promoted by Markets of Sunshine. Stay tuned! This is really a good way to go to promote your business! We love being with Markets of Sunshine. Plus, you can find great items through these shops and support small handmade businesses! Congratulations to Markets of Sunshine on their sixth year in business! You have connected my shop with several new customers with the sample giveaway program. Hope to do another one with you soon. Keep up the wonderful work and thank you for belping me grow my business through your marketing efforts. Markets of Sunshine is also going international! I'm a visual communication designer from Jakarta, Indonesia and Marsha has been patiently helping me acquainted on the business as well as marketing ethic and strategies through Etsy Teams. Thank you so much Marsha, Keep up the good work! I too have wondered how many people sell on Etsy, and one of the things I love about Etsy is the wonderful opportunity, by means of use of ingenious marketing techniques, to make good sales in the face of fierce competition. Membership on Marsha's Tram is an added advantage, so if you're one of Jehovah's Witnesses and you have an Etsy shop, by all means you should check out the JW Promotions team. We so appreciate all the hard work that goes into the promoting done by Markets of Sunshine. Everyone who buys from the shops featured here isn't disappointed one bit. In fact, our customers love coming to Markets of Sunshine team because they can count on quality and great customer service. Socia media is a terrifc way to drive business. I used to have a shop on Etsy, then I discovered blogging...Thanks for joining us on My Refined Style. Thanks for lending your post to the My Refined Style Linkup. See you again next month!